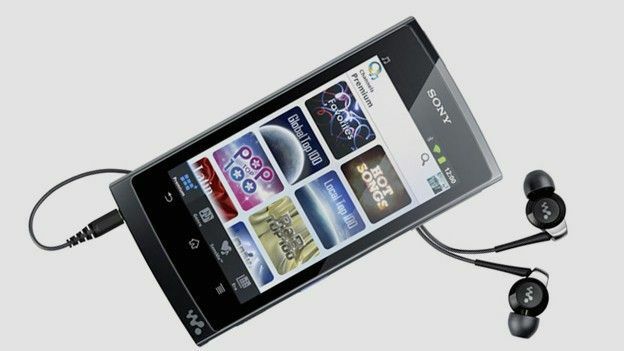 No tech brand has reinvented itself more than the Walkman and at Sony's CES keynote the company announced the next generation music player and the first to feature Android. The Walkman Z1000 series takes aim at the iPod touch and has a 4.3-inch screen and DLNA support to enable you to throw content onto your TV a la AirPlay. Plenty of Ultrabooks being unveiled at CES and HP is helping to get the party in full swing. The HP Spectre 14 is a "Premium Ultrabook," which is more costly than the MacBook Air ($1,400). It has an Intel i7 processor and a 14-inch 1600x900 display. The lid is also made of scratch resistant glass. Fancy. An action-packed Sony press keynote, starring Will Smith and Kelly Clarkson saw the company expand its Google TV offering with new Blu-ray players and a media streamer. The GS7 boasts a touch-screen remote control, Google TV 2.0 and access to the Android Market. The set top box arrives after Logitech pulled-out of the Google TV platform following the failure of its Revue set-top box. There may not be many huge new products announced during Microsoft's final CES press conference, but the company was shouting from the rooftops about the success of the Kinect platform here in Las Vegas. Apparently since its launch in late 2010 the company has sold 18 million Kinect sensors. The Xbox 360 was also the best-selling console of 2011. The Android tablet of the moment, the ASUS Eee Pad Transformer Prime is getting an Android 4.0 update, the company announced at CES on Monday. The tablet, which is famed for its attractive attachable laptop dock, TEGRA 3 processor and sleek design is the first to be officially granted Ice Cream Sandwich by Google.